Welcome to the December 2014 spotlight feature for Blue Heron Review! This month we look back on a special, poetic voice from the past. 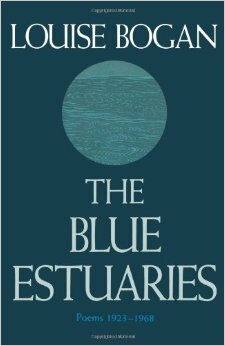 I hope you enjoy the selection of four poems, by Louise Bogan, shared on the Blue Heron Speaks page of this site. “Louise Bogan was born in Livermore Falls, Maine, on August 11, 1897. She attended Boston Girls’ Latin School and spent one year at Boston University. She married in 1916 and was widowed in 1920. 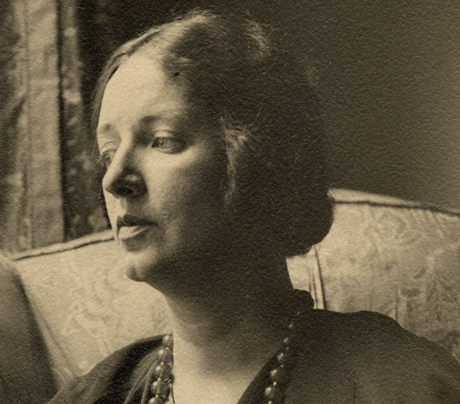 In 1925, she married her second husband, the poet Raymond Holden, whom she divorced in 1937. Bogan’s ability is unique in its strict adherence to lyrical forms, while maintaining a high emotional pitch: she was preoccupied with exploring the perpetual disparity of heart and mind. Her poems were published in the New Republic, the Nation, Poetry: A Magazine of Verse, Scribner’s and Atlantic Monthly. For thirty-eight years, she reviewed poetry for The New Yorker. *To learn more about Louise Bogan, visit the Poetry Foundation website. This entry was tagged Blue Heron Review, Blue Heron Speaks, December 2014 Blue Heron Speaks, Louise Bogan. Bookmark the permalink.